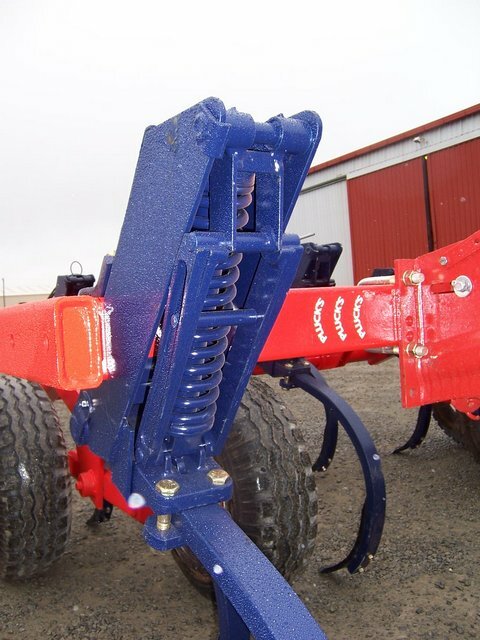 Pluck’s New ATMI 6.8 Meter – Has 30 of standard Morris Industries Canada 755lb Auto Trip/reset assemblies (that Pluck’s have been using for decades) that take 755lbs (342Kg) of point load to get them to move as usual. It can be set at either 7” (180mm) centres or 9”(230mm) which ever you prefer. It is 6.8 meters wide as a starting width, and can be built out to 8.6 meters. 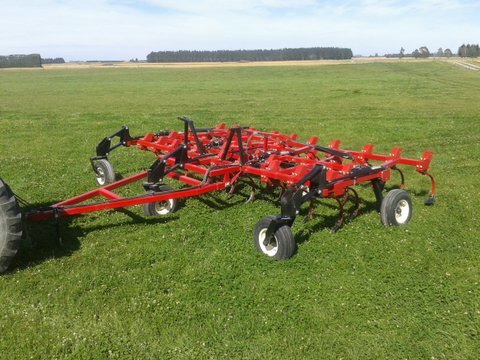 It has three front castor wheels and four internal frame wheels giving it very good contouring following over your paddocks. 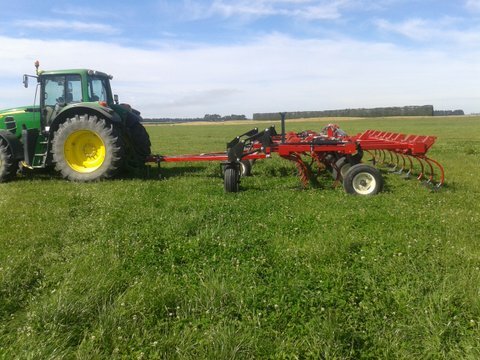 A fully floating tow bar so the tractor is not affected in any way by the cultivator loading on the rear of the tractor and also the cultivator follows far better (on the road as well). It has a very narrow road transport width of just 3.950 meters (13ft) with wings up. Morris Finger Harrows are an optional extra and a rear tow bar as well if required. 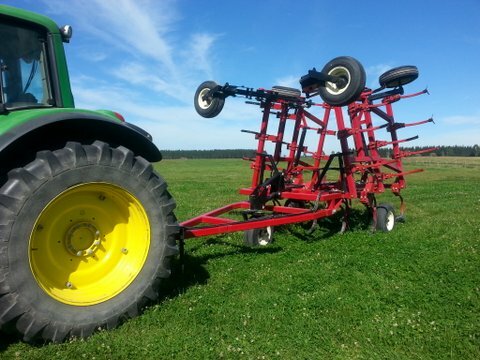 As is with all the Morris 755lb trip legs they can still take a huge range of points to suit any ground and paddock conditions, the points start at 2” (50mm) wide and go up in 2” increments all the way to 12” (300mm) wide, with points being double ended spike, or double ended twisted left or right, or Sweep type (6 to12”wide). 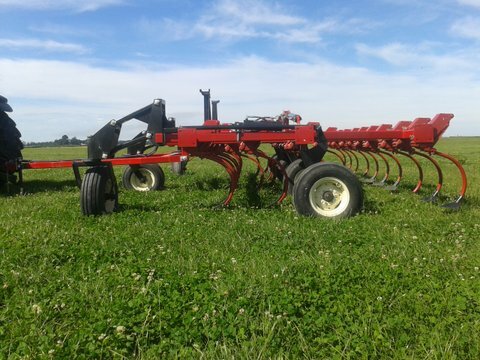 Most or our customers run their cultivators on a combination of narrow and sweep points to ensure a total coverage and movement of their ground in just one pass, and often this is enough with this point combo to get a paddock ready for drilling (just one pass). 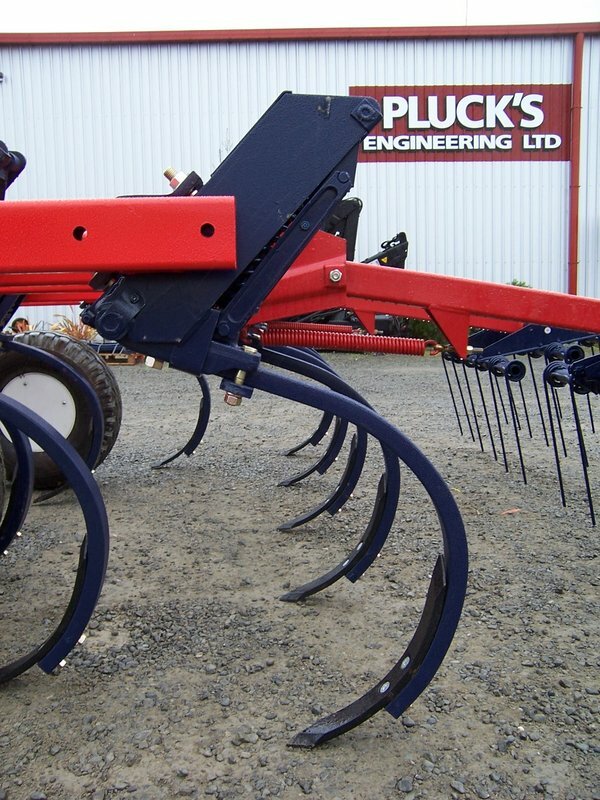 Please call in at Pluck’s Engineering on 0800 PLUCKS, 0800 758 257. 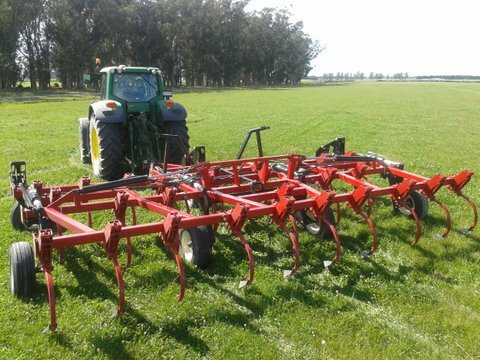 Or call in to our workshop on the main south road at Rakaia to check the new cultivator and ask for Neil Pluck.